Today every part of a business is important to its branding. When potential customers visit your business, they are expecting to find it clean and organized. We are a commercial cleaning company that understands how important it is to keep your business clean. We work with prestigious businesses every day to make sure that the appearance of their business is kept in top shape. Our employees are screened and trained to do a thorough full service janitorial job. They are required to notify us immediately when they arrive at your place of business, so that we can track their attendance. We also perform regular inspections to make sure our employees are working at their highest performance level. You will always know when one of our employees arrives on the scene, because he will be wearing our uniform and an ID badge. Our commercial cleaning Columbia, SC service is designed to serve your unique needs. You're welcome to ask us to do special cleaning jobs, and we will be happy to take over the ordering and supplying of restroom materials such as paper towels and trash liners, if that would be more convenient for you. Depending on your cleaning needs, we may suggest a frequent weekly cleaning schedule, but we will always try to arrange our commercial cleaning Columbia, SC services during your off-hours. We even offer a 24-hour emergency service for those times when we are off site and the unexpected happens. Best of all, the cleaning solutions we use are designed to be safer for the environment. We use less chemicals, and our service personnel use techniques and equipment that are environmentally responsible. We are a full service commercial cleaning company. 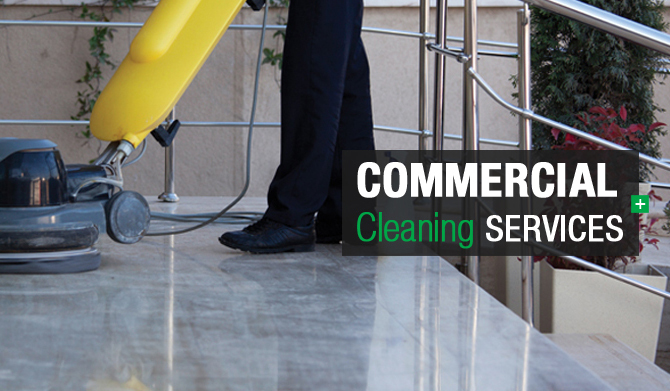 We will clean your company from top to bottom, inside and out, whenever you need it.